The family is coming in for the long holiday over Easter. 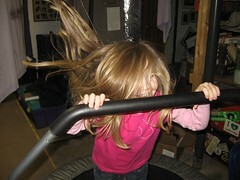 My niece’s first question when arriving is almost always – can I jump on the trampoline. It’s a mini-tramp for exercise…which she likes to do. In fact, she says “she has to put exercise in her body”.